This special edition of the daleys news comes from an interview with Greg Daley with his eldest daughter Carlie discussing 25 years of fruit growing. Family-run business, Daley's Nursery, has survived and flourished over the years thanks to a passion for the land, family cooperation and a willingness to embrace new technology. The business idea was hatched by Greg Daley 25 years ago. He wanted to start a fruit tree nursery which supplied subtropical fruit, nut and rainforest trees across Australia. 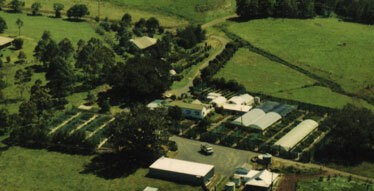 aerial Photo of Daleys Nursery in 1989. The idea was sparked, after Greg Daley finished a Diploma in Horticulture at Hawkesbury Agriculture College (now University of Western Sydney). He thought it would be a great idea to start a fruit tree nursery on his parent's farm with his brothers, Rick, Rob and Rod. It was a logical step in many ways. The Daleys were no strangers to working on the land. In fact, former generations of the family were involved in settling the rich volcanic soils of the Big Scrub in Northern NSW in Alstonville. In many ways it was a natural step to continue this legacy of working with the soil, said Greg Daley. "We've always had that connection with working with nature and working on the land," he said. "It's in our blood." So, they established the nursery on the land where they grew up. From their roots in agriculture, they moved into the field of horticulture. With no established market, no money and very limited experience, it was youthful passion and hard work that saw the nursery establish itself. For the first 5 years the brothers worked long hours and toiled seven days a week, to get the business off the ground. The fledgling business was also developed by trial and error and a lot of research into propagating an extensive selection of exotic fruit trees. By late 1980 the first batch of trees were ready to sell. In the early days it was week after week of selling those trees at the markets before the nursery attracted a solid base of clients.The Channon Markets, held each month near Lismore, provided the customer base the nursery needed. It also ensured Kyogle, a little town about 40 minutes away, was a viable location for the business. 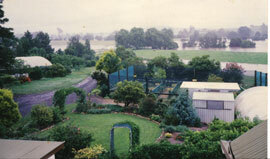 Over the years, the nursery has survived a number of droughts. Drought and economic downturns have been viewed as challenges to improve business systems, such as the installation of water recycling and sand filtration system. Also an off-river storage dam has helped the nursery with any water shortage problems. Likewise, the advent of computers and the booming internet market has been embraced as a challenge by the business. In fact, it has boosted sales for the nursery and has consolidated a broad customer base across Australia. The web site was initiated in 1998 and recent changes in IT by nephew, Correy, has placed the nursery in a very unique position to be able to supply over 300 different fruit tree varieties and up to 300 rainforest and reforestation species by mail order via the website. Customers along the east coast from Cairns to Melbourne can now order online and receive their order within two to three days. For some family-run businesses, communication problems between family members can sour business relationships and even lead to the end of successful enterprises. But, trust has been at the core of this business. "It's hard working as a family but the benefits far outweigh the difficulties. I think we're lucky because we have an incredible trust with each other that's made it possible. I think this trust filters down into the ethos of our workplace," Greg said. Another successful approach, has been to employ like-minded people, with the same passion for the land. The nursery now employs 10 people who work together as a team. "We are always amazed at just what a great team we seem to have, we are all like a big happy family. We value our staff as our greatest asset," he said. 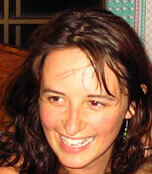 Hi my name is Sarah Daley I am 23 years old and daughter of Greg Daley. 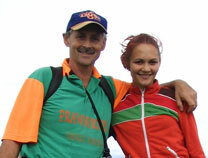 Dad and I are participating in an Oxfam Challenge event in Sri Lanka next February, where we ride bicycles around the country over 12 days and 450km. The purpose of the event is to raise money for Oxfam Australia. We are covering the cost of our trip and the challenge is to fundraise $5,000 that will go straight towards Oxfam International. I came up with the idea and have convinced my dad to come along with me. The reason I am so passionate about doing this challenge is because whilst studying development studies at Melbourne University this year I have learnt what a worthwhile Organisation Oxfam is in helping make poverty history. Oxfam Australia's vision is of a fair world in which people control their own lives, their basic rights are achieved and the environment is sustained. They aim to increase the number of people who have a sustainable livelihood, access to social services, an effective voice in decisions, safety from conflict and disaster, and equal rights and status.